Wall mounted with 60 watt, 12 volt bulb is located separately behind lamp. The lamp shade material is our proprietary moire polycarbonate which is waterproof, flame resistant and hand-tinted in sea green. The Porthole Ring and metal details are heavily chromed silicon bronze. 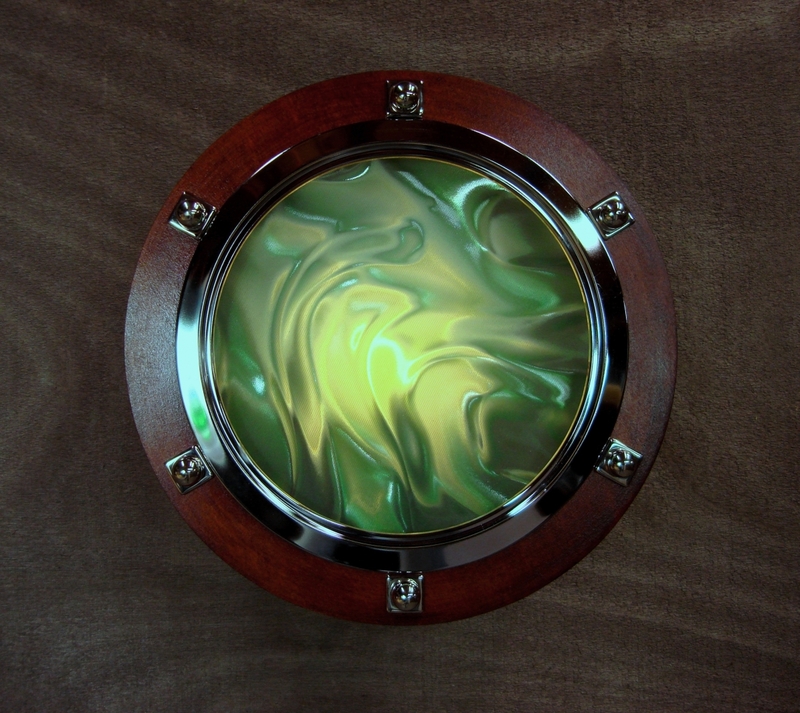 A Solid Mahogany porthole ring completes the design. The Toggle Switch is conveniently located behind the porthole ring.